A new study has for the first time been able to track the way an adult drinks during their lifetime, from their first party drink as a teenager to glasses of wine with meals in their forties or older. By combining information from nine UK longitudinal studies, following almost 60,000 people, researchers have been able to describe how people’s relationship with alcohol changes through the course of their lives. For both men and women, the amount of alcohol consumed in one week rises sharply in adolescence, peaking at around age 25. But as people get older, regular drinking during the week becomes more common, with those in middle-age much more likely to drink every day. In very old age, people tend to drink much less. The study, which appears in the latest issue of BMC Medicine, has advanced understanding of how drinking habits change with age. With over 8,000 alcohol-related deaths in the UK in 2012, it has also demonstrated the value of longitudinal research for those engaged in efforts to improve public health. Researchers looked at survey data from people ranging from 15 to 90 years old participating in nine UK cohort studies – the 1946, 1958 and 1970 cohorts, as well as the English Longitudinal Study of Ageing and Whitehall II (a study of civil servants), three regional longitudinal studies from the West of Scotland, and a study in South Wales. By combining information on alcohol consumption from across the studies on different people at various stages of life, the researchers were able to predict drinking patterns over a lifetime. For men, average consumption peaks at around 20 units per week at age 25. After this, it decreases before levelling off in middle-age, before decreasing again at age 60, to around five to ten units per week. A similar pattern is seen for women but they drink much less on average. At ‘peak’ drinking age of 25 women only drink an average of seven to eight units a week. At age 70 and over this reduces to three or four units. Researchers found that people tend to drink less – but more regularly – in middle-age. This is particularly true for men, with over half of men in their forties drinking daily or on most days of the week. News reports on the findings, released earlier this month, focused on the potential health hazards of daily drinking in middle-age. But in fact, the study demonstrated that most people of this age drink within the recommended number of units per week. Other news reports claimed that “binge drinking” is an issue among people in their early twenties – but the researchers were not able to look at binge drinking specifically. Rather, the study gives an insight into average drinking behaviours over time. 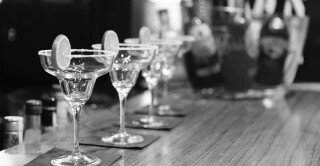 It was not possible to analyse how regularly people drank on one single occasion at different points of their lives, as all the cohort studies have collected information in different ways. The lead author, Dr Annie Britton at University College London, said: “The study is the first attempt to synthesise longitudinal data on alcohol consumption from several overlapping cohorts to represent the entire life course. “Studies looking at the effects of alcohol consumption which only assess data gathered at one point in people’s lives should be treated with caution. Drinking patterns change over the course of a life and analysis of longitudinal data is essential to reveal changes within individuals as they age. Ideally, the same people would be followed over their lifespan, but few studies are able to capture multiple decades of the life course. Therefore, we used data from a number of cohorts to cover different and overlapping periods of life. The nine longitudinal studies that researchers used were MRC National Survey of Health and Development (1946 Cohort Study), the 1958 Child Development Study (NCDS), the 1970 British Cohort Study (BCS70), the English Longitudinal Study of Ageing and Whitehall II, the Twenty-07 Study, which combines three regional longitudinal surveys from the West of Scotland, and the Caerphilly Prospective Study. These studies included 59,397 people in total, and covered data collected from 1979 to 2013, in individuals born between 1918 and 1973.